Should your Fulfillment Center also manage your returns process? How a company handles returns directly affects the bottom line. Be sure you choose a partner with experience in that area. Improve customer satisfaction and brand loyalty by making the returns process customer-friendly. Allow the customer to print, affix and drop that product in their own mailbox with the quickest of ease. Reduce Customer Service Costs. Multiple email notifications can keep the customer fully informed, including when their return package is confirmed to be en route and again when the package is received at the facility. Proactive communications keeps the customer informed and eliminates their need to call. Reduce return postage/freight costs. This solution can be much less expensive than initiating a Call Tag. Gain incremental revenue from Customer-Paid Returns. Often it’s less expensive for the retailer, especially via a fulfillment partner, to transport a returned package. Consider offering customers a prepaid shipping label for a fee that’s a win-win for all parties. The customer pays less and avoids many of the hassles of a returns process. Reuse and Renew returned product. With an experienced provider, you could be refurbishing products and dropping them right back into your inventory. Aside from these five goals outlined, experience in the returns realm is invaluable. Customer expectations and anxiety are high regarding returns and refunds. Any provider should be efficient and fast. And when it comes to refurbishment, there is no tolerance for mediocre performance. Location is another important element in a solid returns process. Either you or your customer are paying the return postage, and in either case, it’s in your best interest to keep these costs low. The customer service function must be well-trained to support your returns process. An organization whose primary function is outbound sales may not be the best for a returns program. Select a partner that has ample expertise to meet your needs. 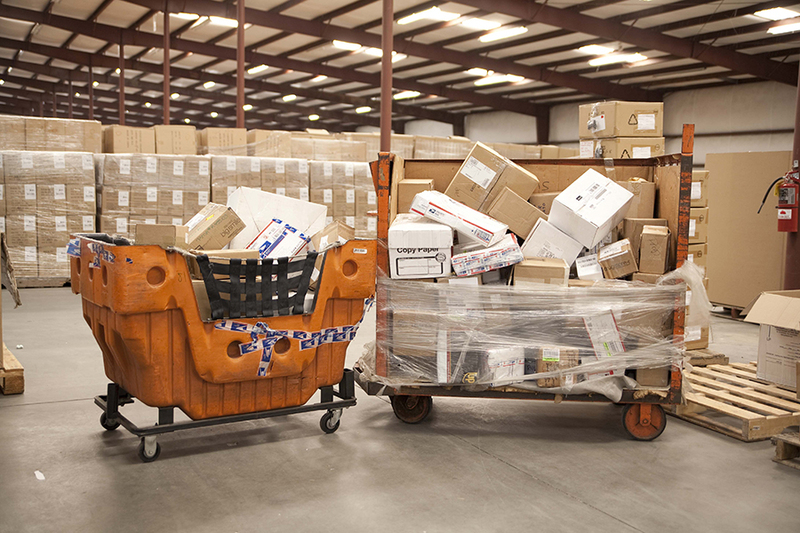 Are returns giving you a headache following this latest holiday shipping season? Reach out to us and let us help you define a strategy that can both reduce your costs and create more loyal customers. Looking for more tips on order fulfillment? Download our latest resource – The Ultimate Guide to Fulfillment.